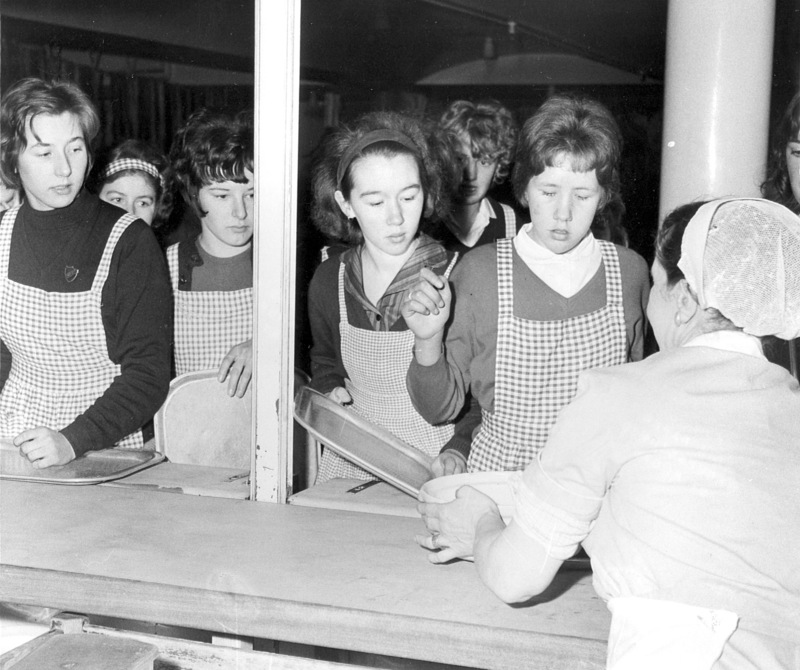 Well before the days of Jamie Oliver, a dinner lady serves a Christmas meal to girls at Clarendon School in 1963. As ever, if you recognise any of these children or you are in the photo yourself, please let us know via the comments facility below. Christmas lunch was extremely popular in those days and very well patronised even by those who didn’t normally stay for lunch. The excellent team of dinner ladies produced magnificent festive fare, decorated the tables with candles (!) And greenery. Mrs Wade was in charge of this major exercise and always did a great job of producing excellent food for us all. I believe her children went to the school. The young girl in the second picture on the right, I recall. She worked with me for a very short while, in a Solicitors in Watford The Avenue. This must have been one of her first jobs, after leaving school.